March is Kidney Health Awareness Month; a time for raising awareness about kidney health and sharing facts about ways to keep your kidneys healthy. The holidays are stuffed with grand meals, decorated cookies, sweet treats, and libations. And now that the holidays are over many of us may be still be feeling stuffed. As we look forward to new beginnings with a spirit of hope and optimism many of us may be looking to leave indulgences of the holiday season in the past. Regular handwashing, particularly before and after certain activities, is one of the best ways to remove germs, avoid getting sick and prevent the spread of germs to others. It’s quick, simple and one of the most effective ways to stay healthy. When we wash our hands correctly, we win, and the germs lose. Thanksgiving Does not have to bring on a Season of Overindulgence! Thanksgiving is a time of celebration bringing family and friends together around a banquet of traditional foods and family recipes. 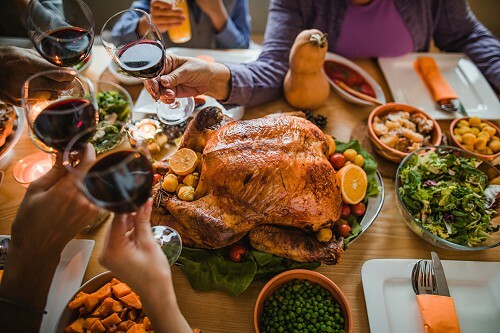 These and other social gatherings during the season always-present opportunities to become overindulgent and even the most disciplined struggle with the temptations the holiday offers. However, with the right strategy, there are ways you can maintain a balance and keep your diet healthy and intact.